In this article we explain to you how to change the logo of the blog for your Dropshipping 360º Store. By default, your WordPress blog is set up to not be indexed on Google and other search engines. Like your 360º Dropshipping Shop, the WordPress blog can also feature several languages. By default, Spanish and English are provided. In this article we explain how to modify the default text displayed in the footer of your WordPress blog. In the footer of your blog, several icons linking to social networks are displayed. In this post, we explain how to add/delete them or change their current link. 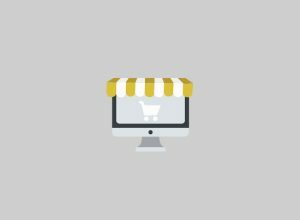 Your 360º Dropshipping Shop includes a WordPress blog, a basic necessity for the positioning and influence of your ecommerce. Learn to use it. Publishing a new post on WordPress is easy! Just follow the steps below. If we want our blog to be positioned correctly on Google, we will have to write entries that are optimised for SEO. This article explains how to do this. It’s very simple to manage comments on your blog, and in this post, we will explain how.